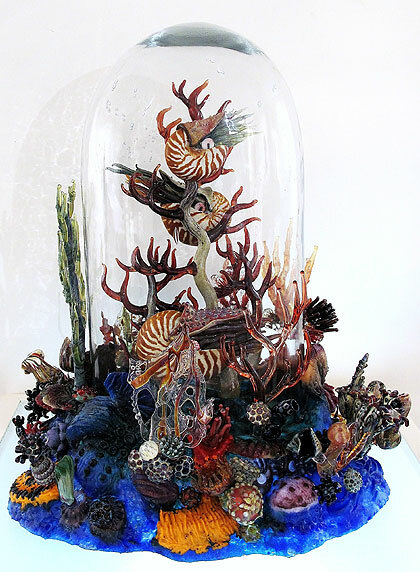 Bronwyn Hughes has written a great paper titled 'Glass for Contemporary Architecture' which is a fantastic read and relevant for the current exhibition 'JUXTAPOSITIONS - a new glass for architecture'. Please follow this link to download a copy. 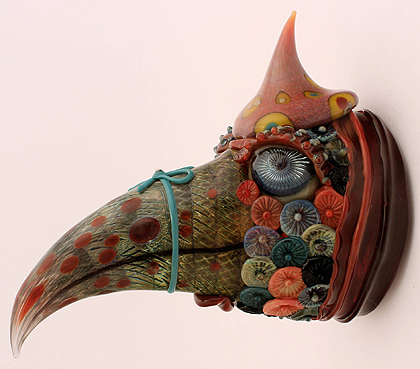 Peter Kolliner OAM, Gallery Director, is delighted to invite you to the 10th Annual Overview of Contemporary Flame Formed Glass. 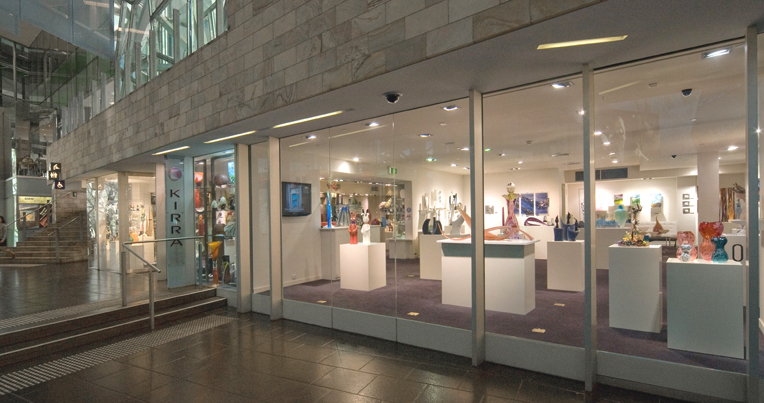 Since our first Flame on Glass exhibition in 2003, flame formed glass has developed to a point that many of our participating artists have become internationally acclaimed and flame formed glass is now recognised as a significant art form in Australia and overseas. Flame glass artists demonstrating their techniques (left) Peter Minson, Matthew Farrell, Cas Davey and Laurie Young. Please join us on Thursday 6th September 2012 to meet the artists, watch them demonstrating their production techniques and join us as we begin our birthday celebrations - 10 years at Fed Square and 15 years representing Australian glass artists nationally and internationally. Opening comments by Peter Kolliner and artists' perspective by Christian Arnold and Mark Eliott. 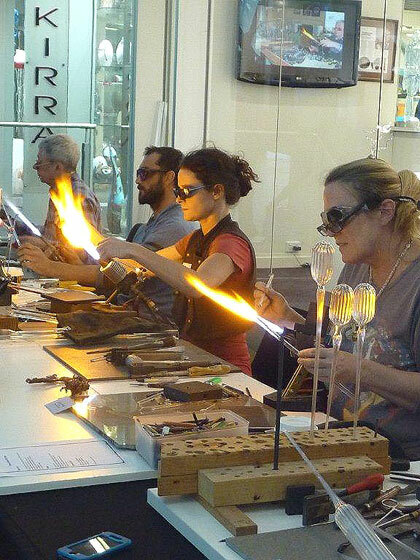 Flamework demonstrations will be held in the Atrium within the immediate vicinity of our Gallery from 6.00pm to 8.00pm on opening night and will continue throughout the weekend. Christian Arnold, Barbara Ashbee, Sally Balfour, Susie Barnes, Wendy Bergamin, Jemma Clements, Richard Clements, Cas Davey, Pauline Delaney, Kristen Dibbs, Cindy Durant, Mark Eliott, Matthew Farrell, Sally Green, Marilyn Hayes, Terri Kraehe, Len McFadden, Carol Marando, Raymond Mifsud, Peter Minson, Anne Oberin, Helen Peake, Lisa Simmons, Alan Ussher, Kathryn Wardill and Laurie Young. 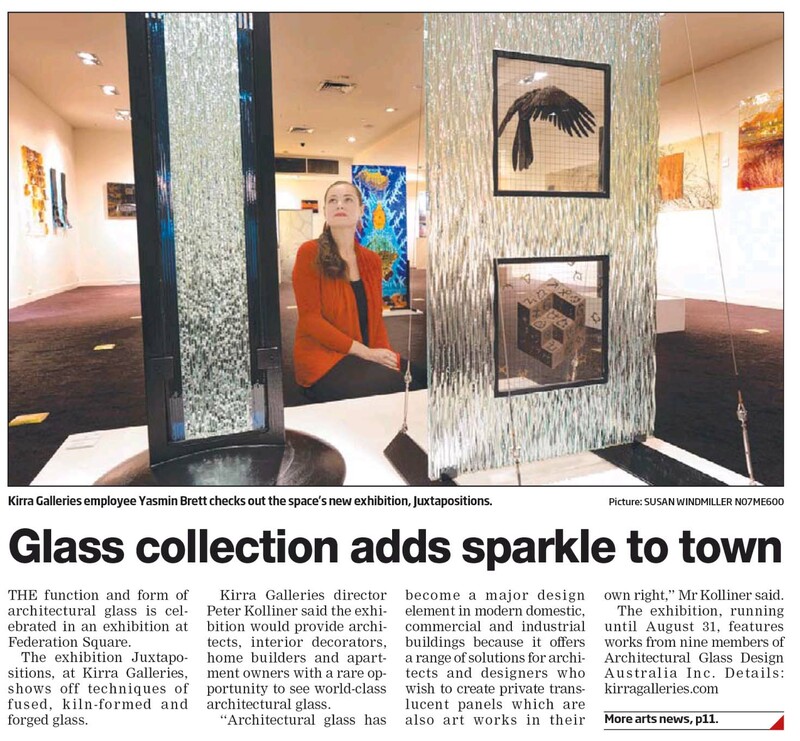 Kirra Galleries exhibition Juxtapositions was featured in The Melbourne Leader newspaper on the 13th of August, 2012.